Two Vacations A Year Whether they're small weekend trips, or week-long holidays, here's a blog to help you do more than two vacations! Berlin, as they say, has something for everyone. There will be grand museums, quaint neighbourhoods, a sizzling nightlife, a zoo at the heart of the city, and even a raunchy yet accessible underbelly. As with most my visits, I try to take in the diversity of architecture that the city had to offer. The contrasting views of nouveau architecture sitting side by side with well-aged residences and stately apartments are a marvel on their own. Lord Norman Foster added his usual steel-and-glass touches at the top of the reconstructed Reichstag, home of the German Parliament. Admission is free, but the lines were terrible so I had to settle for the grounds around it. To make the most out of my visit, I went to see the annex buildings around it, including Marie Elisabeth Luders Haus, pictured above. Totally missing where the Holocaust Memorial was, I made a beeline for the Daniel Libeskind creation at the northern part of the city. 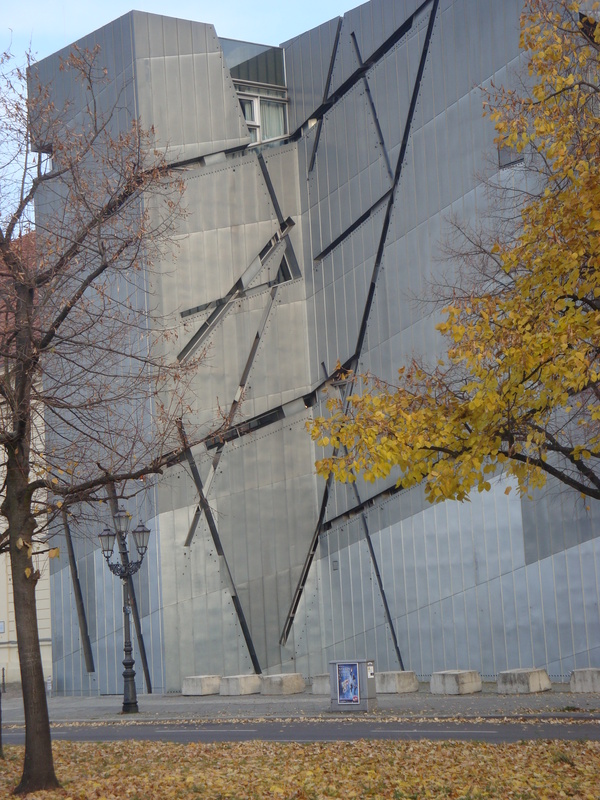 The Jewish Museum Berlin is a testament to the man’s signature angles and jagged silhouettes, the whole 4 storey museum is shaped like a lightning bolt itself. The theme of the museum is an emotional one, and is reflected into physical discomfort by the sloping floors that simulate movement up a ramp and uneven surfaces. The museum itself is fairly extensive and could easily take up 3 hours, so try to be selective in what you want to experience. Don’t forget to visit the slanting courtyard outdoors. 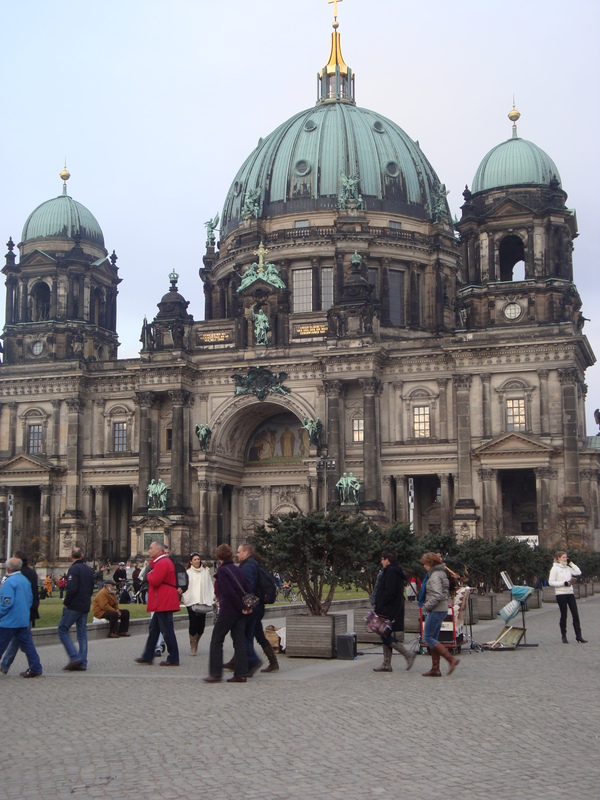 If you’re looking for a wee bit more traditional fare, try visiting the Berlin Cathedral – it will greet you to Museum Island and spend a whole day roaming the complex alone. If you’re just here to visit iconic Berlin, walk along the Unter der Linden (translated as under the linden trees) towards Pariser Platz and see the much loved Brandenburg Gate. 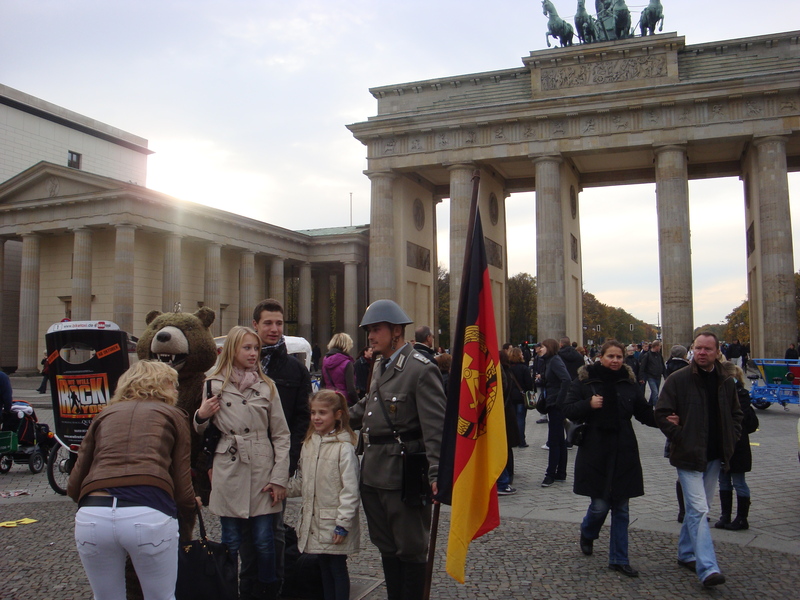 Have a photo taken with a bear (the city mascot as seen in its coat of arms), or with an imposing military guy. I had mine taken with Darth Vader. And the Holocaust Museum I missed? It was just around the corner from the Brandenburg Gate so don’t make the same mistake I did. It’s possible to do all of these in a day, but you may have to rush some things. My suggestion is to take walk around Bundestag, then Brandenburg Gate is adjacent to it, and spend the rest of the day at Museum Island. The Jewish Museum closes late, so you can do that at the early evenings. Enjoy Berlin! After all the China posts, we move on – this post is about a different wall. In commemoration of the Berlin Wall’s 50th year, Two Vacations A Year drops in the German capital to provide mini-itineraries and things to do on a short trip. I was in Berlin for a weekend only, and was fully aware that the city is one of the most electric parts of Europe that I will not be able to give it justice if I try to fit in everything on a short trip. 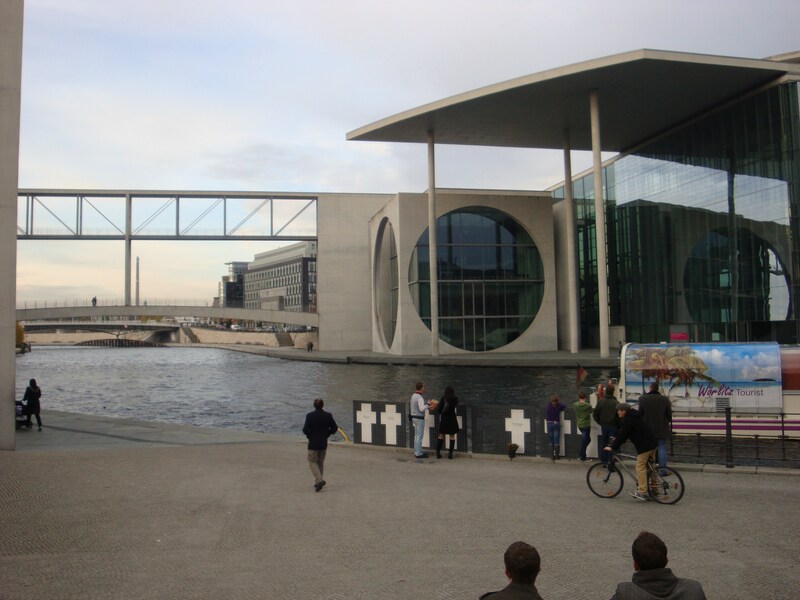 Top 3 priorities for my Berlin visit: avant-garde architecture, all-night parties, and a trip to the Berlin Wall. Whilst pieces of the wall remain scattered around the city, I’d recommend heading over to east side Berlin to view a 1.3 km remnant of the wall that was transformed into one of the world’s largest open-air art gallery. 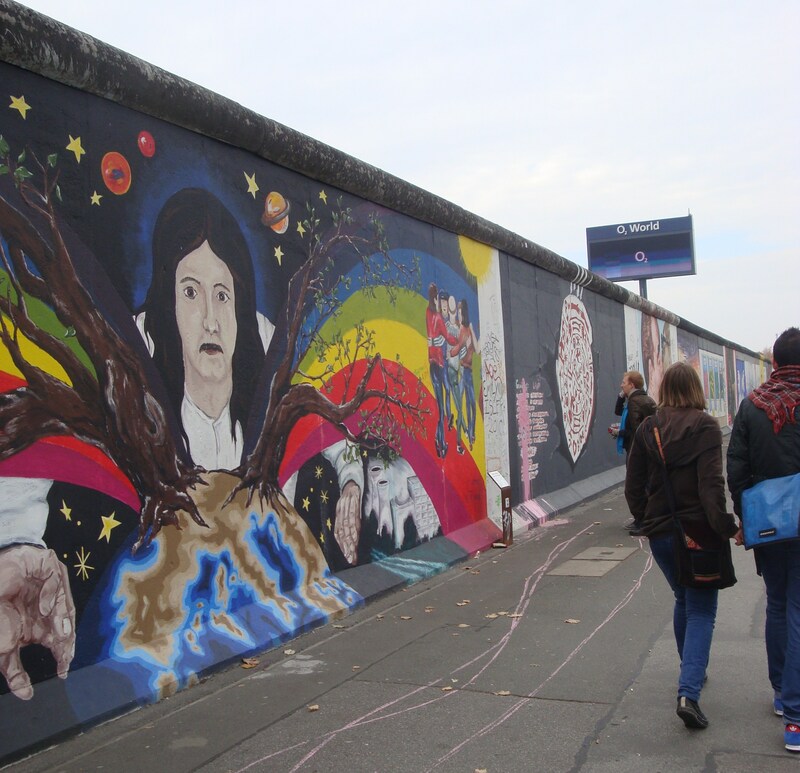 The East Side Gallery features a collection of murals from over 100 artists painted on the wall. They represent a varied set of perspective to reflect the sentiments from the Berlin Wall era, from construction, to operation, and finally its dismantling. Not only wall-related graffiti can be seen, but other political themes during the 60s are on display as well. 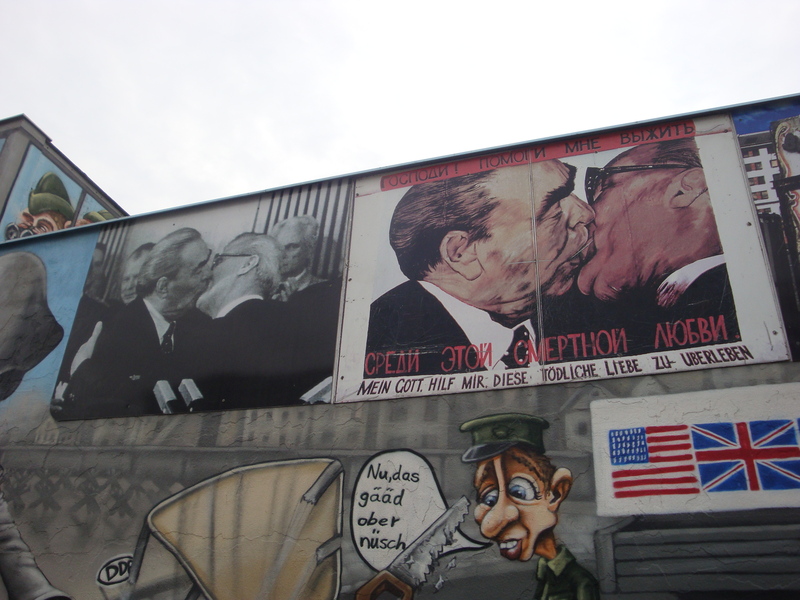 Including the popular Bruderkruss, from the popular photograph communist leaders Brezhnev and Honecker kissing to celebrate the 30 years of the German Democratic Republic. 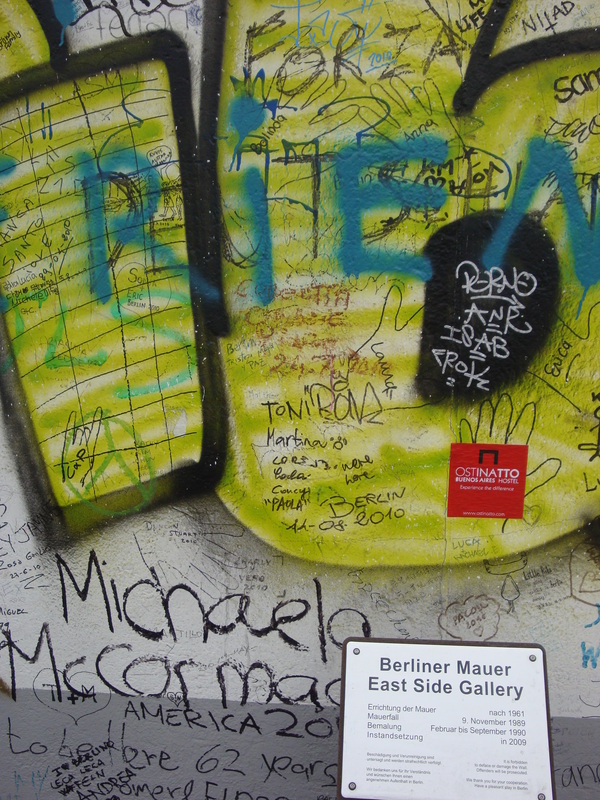 The people of Berlin have requested to respect the murals, its 2009 restoration was not only to renew the artworks from damage caused by the elements, but also from rampant vandalism. End your trip by heading out to Karl Marx Allee, a couple of blocks east of Muhlenstrasse to see what the proletariat buildings from Communist Germany look like. 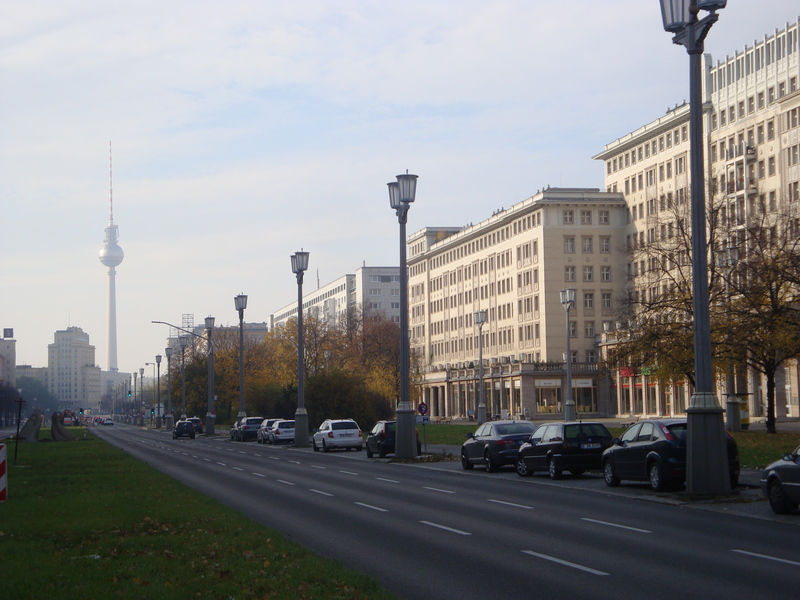 Wide avenues, with quiet traffic, and a more tempered atmosphere for Berlin. More blast from the past? Take a ride at their subway, its architecture and detailing mirror the styles of the buildings that surround it.